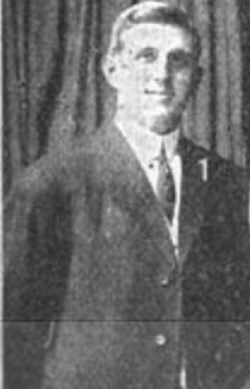 Fred Bohler attended Schuylkill Seminary in Reading, Pennsylvania between 1904 and 1907 were he played on the football, basketball, baseball and track teams. In 1908, Bohler was hired by Washington State University as the head basketball coach, a position he held until 1926. Bohler’s 1916-17 team finished with a 25-1 record. Overall, his teams compiled a 226-177 record. John Frederick Bohler Born: Apr 14, 1885 Died: Jul 12, 1960 Hometown: Reading, Pa.